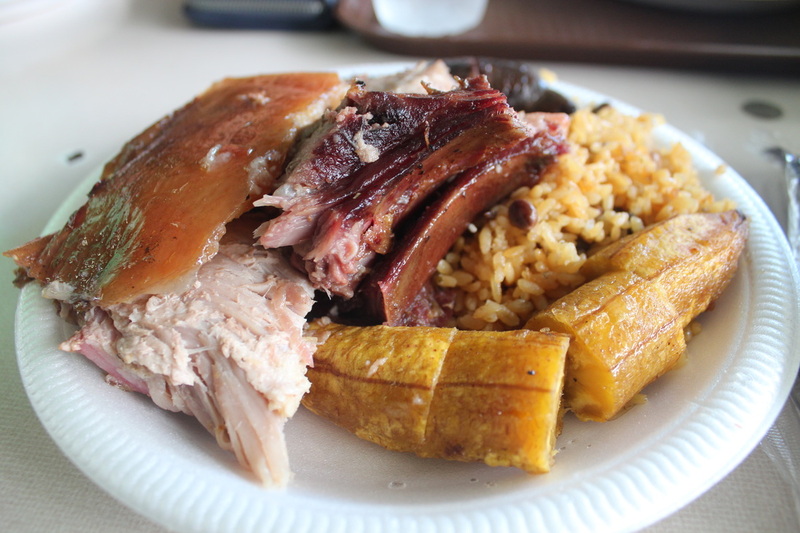 One of the best foods in Puerto Rico is lechon. Whole roasted pig over a fire with a variety of spices and rubs. So delicious! 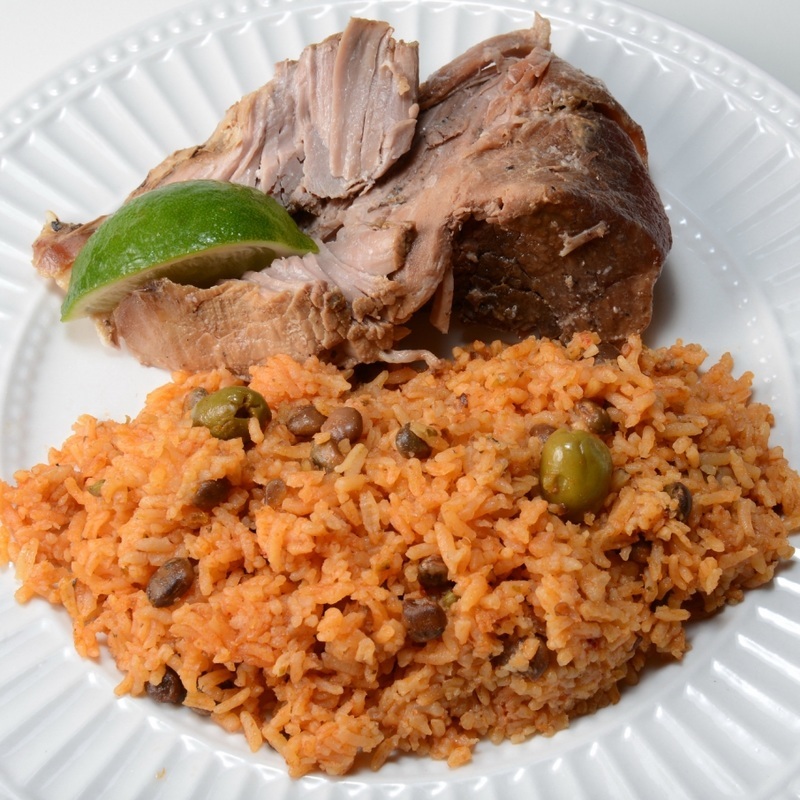 Most likely originating in Spain, lechon or roasted pig can be found all over Puerto Rico. 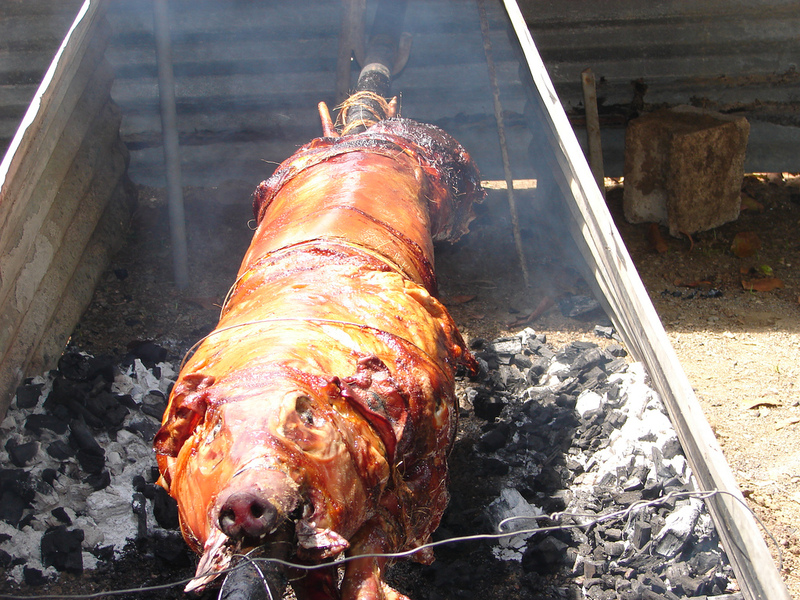 The most prized portions of the lechon is is crisp skin or the cheek of the pig. Just try it! 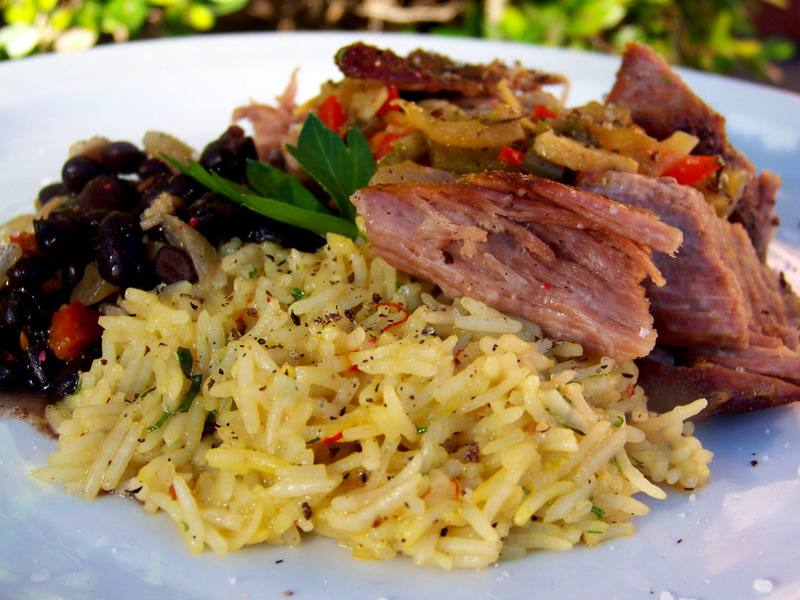 Lechon is customarily pared with arroz con gandules (rice with pigeon peas), guineos (green bananas) and morcilla (blood sausage). Don't let the blood sausage name fool you. It's delicious too!